It didn't matter that Tempe wasn't in the path of totality of Monday's solar eclipse — thousands turned up on the Tempe campus for the eclipse-viewing party hosted by the School of Earth and Space Exploration, grabbing a pair of ASU glasses and claiming a spot to watch the first coast-to-coast total solar eclipse in 99 years. Held at both Hayden Lawn and ISTB4, the viewing celebration featured ASU scholars on hand to explain the science, telescopes available for use and — inside ISTB4 — live NASA coverage. 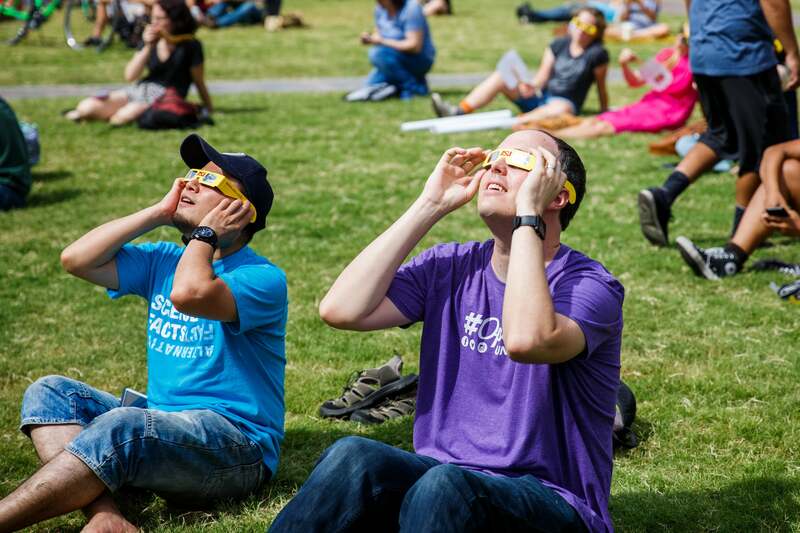 Check out the fun in our gallery as Sun Devils got stars in their eyes.